Direwolf20's Favorite Base in a Single Block! 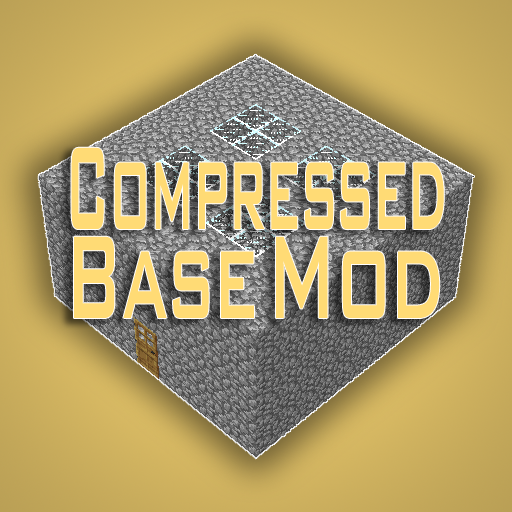 In the mod, the player can craft a Compressed Base that has the ability to spawn Direwolf20's favorite base, a 9x9, with the ability to also add extensions. Doing so is extremely easy and fairly inexpensive. First, the player needs to craft the needed components necessary for crafting the base. Once the components have been crafted, the player can then make the Compressed Base. To preview where the base will spawn, do Shift + Right Click. A render will be displayed showing the area the base will occupy. The render will disappear after 10 seconds by default. If valid, a 9x9 base will spawn centered around the block. To preview where the base and extensions will spawn, do Shift + Right Click. A render will be displayed showing the area the entire base will occupy. The render will disappear after 10 seconds by default. If valid, a 9x9 base will spawn with extensions in the desired pattern centered around the block. Show Preview Render - When enabled, the player can view a render to show where the base will spawn. Preview Render Time - Amount of time the preview render will show for in seconds. Do Loot - When enabled, loot will spawn in the chests created. Do Block Check - When enabled, there must be no tile entities or unbreakable blocks within the occupancy of the base. More configs to come soon. Want to translate the mod? Submit a pull request here. I would love to see the capacity to add extensions onto extensions and basically build a larger scale grid of a base before expanding the structure, and even use different materials for it so that the finished structure isn't just cobblestone. I have something like this planned, but no ETA at the moment. ETA or no, still cool. What kind of compatibility would you want?